There are numerous car brands around the world and obviously each brand differs from each other in the way the engine is set up under the hood. Due to this and due to each brand being different from one another in terms of engineering, car maintenance will be different across brands. Maintenance is required for all vehicles, whether they are new or old, and it will be useful to get a good price when you decide to sell your car. Check the tire pressure to give your car better mileage. Also check for tire treads as worn out tires will lessen grip on the road. Also, do not forget to check the air pressure in the spare tire in case you may need in in an unfortunate emergency. The Check Engine light gives an indication of the state of the engine. The moment it comes on, be sure to drive your car over to the mechanic/service center to have it rectified, as driving with the light on could have a bad effect on your vehicle. Head and tail lights can get dimmer over time. Therefore have them checked and replaced if required. Also change the lens of the headlight if it gets too old. In rainy conditions there is the possibility of water seeping through the head and tail light lens. This can spoil the lights and it may also go into the wiring. Therefore drain the lens of any water and always keep the lens clear to get the best effect of the headlights. Keep a tab on your car breaks. Driving in heavy traffic forces you to use the breaks a lot causing it to wear out fast. Hence you should regularly check for any noises or friction or the time it takes to stop your vehicle while applying the break. The air filter gets worn out faster driving in harsh conditions. Therefore regularly checking and cleaning the air filter especially if you drive in dusty weather conditions will ensure it keeps your engine in good condition. Change the oil levels of certain parts after covering certain kilometers. This is best understood from the car manual as it gives an indication as to when the oil levels need to be changed. Driving in extreme weather, especially when your region receives a lot of rain can damage the wiper blades, leading to cracks being developed. Due to this, you won’t get the full effect of the wipers and it can reduce visibility in heavy rains. So replacing them especially before the rains will ensure your windscreen stays clear. Besides all the above tips, you should be sure to have an emergency kit for your car which may come in handy at any time of the day. 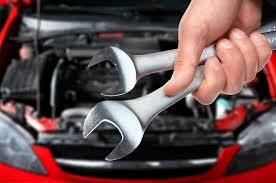 Lastly, it always pays to have a good mechanic at hand for any quick fixes you may need from time to time. Building a relationship over time with the mechanic will ensure he takes good care of your car and doesn’t fleece you. Good maintenance of your car will also come in handy when you want to sell your car as it may help you fetch a good price. Nissan Mаximа 2017 with Apple CarPlay in UAE – Review.